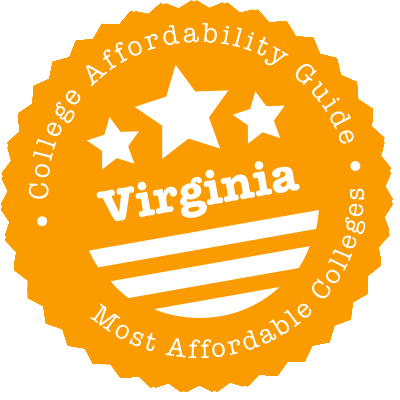 Scroll down to see our top-ranked colleges in Virginia, loans and scholarships for Virginia students, and advice on how to save money going to college in Virginia. Founded as the State Normal and Industrial School for Women in 1910, Radford University is now a co-educational institution with a total 2014 enrollment of 9,798 undergraduates and 913 graduate students, coming from 45 states and 63 countries. Entering freshmen with excellent academic records are considered for the Presidential Scholarships ($500 to $16,000 per year) and the Academic Excellence Scholarships ($1,000 to $5,000 per year). The average freshman financial aid package for the 2014-2015 school year was $8,776. Twenty-nine percent of Radford students qualified to receive the Pell Grant. The average amount received was $4,081 for the 2013-2014 academic year. Longwood University in Farmville, Virginia is a public liberal arts university that ranked 30th in U.S. News & World Report's 2015 list of the best universities in the Southern United States. At LU, 69% of full-time beginning undergraduates receive financial aid and 24% receive institutional grants or scholarships. The average amount of institutional gift aid received by full-time, first-year students is $5,988. Incoming students are automatically considered for admissions scholarships, which are awarded based on GPA and SAT/ACT scores. Financial aid scholarships are awarded based on financial need, and the school offers 40 different financial aid scholarships that are awarded to upperclassman only. Federal grants, like the Pell Grant, are awarded to 24% of full-time beginning undergraduates. Old Dominion University in Norfolk, Virginia is a public research university that was founded as a division of the College of William and Mary in 1930 and became an independent institution in 1962. Old Dominion provides financial aid to 82% of full-time beginning undergraduates and provides institutional grants or scholarships to 33% of these students. The average amount of institutional gift aid awarded by the university is $4,220. Incoming freshmen and transfer students are automatically considered for merit-based scholarships, and the university also offers several scholarship opportunities to freshmen admitted into the Honors College, including the Cranmer-Skinner Scholars Scholarship and the Brock Foundation Endowed Honors Scholarship. Ferrum College has been named one of the Best Regional Colleges in the South for three years running, 2015-2017, by U.S. News and World Report. The college has 1,200 students and offers 30 undergraduate majors spread among the School of Arts and Humanities, School of Natural Sciences and Mathematics, and School of Social Sciences and Professional Studies. Almost all Ferrum students receive some form of financial aid. Three out of every five students are eligible for Pell Grants, and about one in three are the first in their families to attend college. The school awards more than $20 million in institutional aid each year, and the average financial aid package is about $35,000, including scholarships, grants, loans, and work-study. An affordable college education in Virginia will take some planning. State financial aid is respectable—most money is directed towards low-income, Virginia students who want to go to public schools or community colleges. But even those with moderate incomes may qualify for programs like the Academic Common Market (ACM) and forgivable loans. Virginia college students are typically able to easily transfer college credits between state institutions. With a Uniform Certificate of General Studies, an established resource of guidelines for transfer, and a statewide transfer tool, transfer credit in Virginia is easy to retain and simple to understand. Plus, students who graduate from a Virginia community college can obtain guaranteed admission to more than 20 colleges and universities in the state. Virginia’s Uniform Certificate of General Studies offers a transferable set of general education credits that can be transferred from two year or four year colleges and universities to other institutions within the state. These credits can also be earned by high school students. Virginia has a statewide guaranteed transfer of associate’s degrees policy that allows students who have earned an associate’s degree to be considered as having met all lower division general education requirements for four year degrees. Additionally, students will be given junior standing. Virginia also offers guaranteed admissions agreements to students with an associate’s degree. These are offered to students who have graduated from one of Virginia’s community colleges with a minimum grade point average, and apply to more than 20 different colleges and universities. Students can research transfer options using the Virginia Department of Education Transfer Tool. With a basic search, you can compare institutions, and with an advanced search, you can compare your current credits to more than one institution. Want to map out your future transfer? Use the Transfer Planning Tool to plan your transfer to a four year college or university in Virginia. The first place to go for information on student financial aid in Virginia is the State Council of Higher Education for Virginia (SCHEV). You’ll find general advice on financial aid, a handy list of Virginia public universities & colleges and information about residency requirements (i.e. Virginia domicile). We’ve listed the major state aid grants & scholarships below, but SCHEV also has details on scholarships offered by private organizations (e.g. Lee-Jackson Scholarship), other state departments (e.g. Virginia Department of Transportation Engineering Scholarship) and specific institutions (e.g. Virginia Tech Soil Scientist Program). So it’s worth exploring SCHEV’s tables of Undergraduate and Graduate Financial Aid Programs. Finally, we recommend a look at Scholarship Sharing, a non-profit that was started by a VCU student and is dedicated to helping Virginia & Washington D.C. students find resources for paying for college. It has a comprehensive Scholarship Database and hosts an annual scholarship fair in the Virginia area. If you’re considering community college, you should definitely check out the Virginia Foundation for Community College Education (VFCCE) Scholarships. Students with a prior bachelor’s degree are not eligible to apply. How to Apply: File your FAFSA, apply for admission at the Virginia community college of your choice and submit foster care documentation from the Virginia Department of Social Services (DSS) to the college’s Financial Aid Office. Summary: The CTG is a need-based and merit-based grant intended for Virginia residents who wish to complete an associate degree at a Virginia public two-year college before transferring to a Virginia four-year college or university. Students receive a CTG only after they transfer to the four-year institution. Recipients can receive up to $1,000 per year, with an additional $1,000 for students in select degree programs (STEM fields and nursing) for a maximum of three years. Students transferring to NSU, ODU, Radford, UVAWise, VCU and VSU can receive an additional $1,000 for their junior and senior years. SCHEV has a list of eligible programs and institutions. The grant is renewable provided that you maintain a cumulative GPA of 3.0, maintain satisfactory academic progress (SAP) and meet financial aid requirements. How to Apply: File your FAFSA, complete the separate CTG Application on the SCHEV website and submit the completed application to the Financial Aid Office of your choice of Virginia four-year institution. You must also submit a final academic transcript to the four-year institution as soon as the associate degree is posted. Summary: Sometimes called the COMA, the CA is a need-based grant available to Virginia undergraduates attending a Virginia public college/university or graduate students (both in-state and out-of-state) enrolled in an approved program at a Virginia public college/university. CA awards are renewable provided that students continue to meet aid requirements and maintain satisfactory academic progress (SAP). Grants to undergraduates are proportional to financial need—i.e. students with the greatest need receive the largest awards. Annual award amounts may not exceed tuition and required fees. Graduate award amounts vary by institution and are subject to available funding. How to Apply: File your FAFSA and contact the Financial Aid Office at your choice of Virginia public college or university for application procedures and deadlines. Summary: VGAP is a need-based and merit-based renewable award intended for Virginia students who wish to attend a Virginia public two-or four-year college or university as an undergraduate. Only high school graduates who achieve a 2.5 GPA or the equivalent are eligible to receive an award. Grants are proportional to financial need—i.e. students with the greatest need receive the largest awards. The maximum award covers the cost of tuition, required fees and a book allowance. Students who obtain a GED are not eligible. Summary: PTAP is a need-based grant awarded to Virginia students who wish to complete a part-time undergraduate program at one of Virginia’s community colleges. Annual award amounts vary by institution and are subject to available funding. Awards are renewable, but may not exceed tuition and required fees. How to Apply: File your FAFSA and contact the Financial Aid Office at your choice of Virginia community college for application procedures and deadlines. Summary: VTAG is a need-based, renewable grant intended for Virginia residents who attend accredited private, non-profit colleges and universities in Virginia (the VTAG Fact Sheet has a full list of Eligible Institutions). Graduate students are eligible to receive a VTAG, but they must attend an approved health-related program. In 2015-2016, the maximum annual award was $3,100 for undergraduates and $1,550 for graduates. Eligible graduate programs include only those in a health-related professional program as designated by the 51 series of programs under the NCES Classification of Instructional Programs. MD and PharmD programs are eligible. How to Apply: Complete the separate VTAG Application. Applications must be submitted to your institution’s Financial Aid Office. Summary: This scholarship is only available to Virginia residents who were denied an education in the public schools of Virginia between 1954 and 1964, in jurisdictions in which the public schools were closed to avoid desegregation. Scholarships can be used for all kinds of full-time and part-time education programs—GED programs, career & technical training, CLEP, undergraduate degree programs, masters’ degrees, doctorates, professional degrees and more. Awards may be used to cover the costs of tuition, fees, textbooks and certain course-related materials. How to Apply: Complete the Application Packet and submit the required documentation. Summary: This need-based and merit-based scholarship provides financial assistance to Virginia high school seniors who want to attend one of Virginia’s public or private colleges or universities. Students are selected based on GPA, standardized test scores, letters of recommendation, extracurricular activities and financial need. In 2016, the scholarship gave recipients $2,000 per year for up to four years. How to Apply: Ask your high school guidance counselor or school principal for an application form. Completed scholarship applications should be submitted to your high school principal. Summary: This scholarship/loan forgiveness program is for nurses who agree to engage in full-time nursing in Virginia after graduation (one month for every $100 received). For example, if you receive $1,200, you must work in Virginia for one year. Scholarships are awarded for single academic years, but they are renewable for up to four years. Award amounts vary. Recipients who renege on their obligation will be required to pay back the full amount of the scholarship plus an annual interest charge. Recipients have 60 days from the date of graduation to obtain a nursing license. Full-time employment must begin with 90 days of receiving a license. Voluntary military service cannot be used to repay scholarships. How to Apply: Complete a Mary Marshall Nursing Scholarship Program for Licensed Practical Nurses Application from the Virginia Department of Health (VDH). How to Apply: Complete a Mary Marshall Nursing Scholarship Program for Registered Nurses Application from the Virginia Department of Health (VDH). Summary: This loan forgiveness/grant program provides annual grants of $5,000 for Virginia optometry students who agree to set up practice in Virginia for a period of two years or more (i.e. two years of service for each one year of grant). Only programs leading directly to a career in optometry (e.g. Doctor of Optometry) are eligible. Awards are renewable for up to two years, but the award cannot exceed the student’s financial need. If recipients renege on their service obligation, the grant converts to a loan and recipients are required to pay back the grant in full. How to Apply: Complete the Optometry Grant Loan Program Application on the SCHEV website. Summary: VLCP II is a loan forgiveness program for UVA Law School graduates who work in private practice—focusing on an underserved part of the Commonwealth—in Virginia and earn less than $75,000 annually (see the UVA loan forgiveness website for details on qualifying employment). Participants who earn less than $55,000 annually can have 100% of their qualifying law school loans forgiven. Those earning between $55,000 and $75,000 receive prorated benefits. Participants can remain in the VLCP II program for up to 10 years. How to Apply: Complete the VLCP II Application from UVA. Summary: VLFP II helps repay the loans of UVA Law School graduates who earn less than $75,000 annually in public service positions (see the UVA loan forgiveness website for details on qualifying employment). VLFP I is for classes of 2012 and earlier. Participants who earn less than $55,000 annually can have 100% of their qualifying law school loans forgiven. Those earning between $55,000 and $75,000 receive prorated benefits. Participants can remain in the VLFP II program for up to 10 years. How to Apply: Complete the VLFP II Application from UVA. Summary: The VA-SLRP provides a forgivable education loan to medical, dental, behavioral health and pharmaceutical (pharmacists) professionals who are willing to work at an eligible practice site in one of the federally designated Health Professional Shortage Areas (HPSAs) in Virginia. The VA-SLRP website has a list of approved specialties. In return for a minimum of two years of service in a qualified field of practice at an HPSA, recipients can receive up to $50,000 for a qualifying educational loan ($25,000 per academic year). There is an option to renew the award (single year service obligation) for a third or fourth year. The maximum award for a four-year commitment is $140,000. How to Apply: Complete the VA-SLRP Application from the Virginia Department of Health (VDH). Summary: This scholarship/loan forgiveness program is directed at full- and part-time graduate students in a master’s or doctoral program in Virginia who agree to teach in a Virginia school of nursing. Students must complete their degree requirements in two years or less. Priority is given to master’s degree candidates who will teach in community colleges. Recipients can receive up to $20,000 per year (for up to two years) while they’re completing graduate coursework. They are then required to give two years of teaching service as a nursing faculty member for every year they receive a scholarship. Recipients who renege on their obligation will be required to pay back the scholarship with a 9% interest penalty. How to Apply: Complete a Nursing Scholarship Application from the Virginia Department of Health (VDH). Summary: This scholarship/loan forgiveness program is for nurses who agree to practice full-time in a medically underserved area (MUA). The practice facility must provide services to persons who are unable to pay for services. It must also participate in all government-sponsored insurance programs that assure access to medical care service for covered persons. Scholarships are awarded for single academic years and must be repaid with service (i.e. one year of full-time work at a MUA for one year of scholarship). Scholarships are renewable, but only for one further year (2 years total). The scholarship amount is $5,000 per year. Full-time employment must begin within two years of graduation. Voluntary military service cannot be used to repay scholarship awards. How to Apply: Complete a Nurse Practitioner/Nurse Midwife Scholarship Program Application from the Virginia Department of Health (VDH). Summary: The VTSLP provides financial support to students who are willing to teach in one of Virginia’s critical shortage teaching areas after graduation. Those areas include schools with a high concentration of students eligible for free or reduced lunch; certain rural or urban regions of Virginia; any discipline or any grade level that has a critical teacher shortage; and certain teacher shortage disciplines. Please see the VTSLP website for precise definitions. In return for promising to teach in one of these areas, eligible students may receive a scholarship loan of up to $10,000 per academic year for full-time students. One year of scholarship = one year of teaching obligation. If the recipient fails to honor the obligation, the scholarship loan must be paid back to the Commonwealth of Virginia. Eligibility: Scholarship loans are available to teacher candidates, including graduate students and paraprofessionals from Virginia school divisions. Undergraduates at or beyond the sophomore year must have been in the top 10% of their high school class or identified through an alternative measure of achievement. Candidates who previously received VTSLP funding are not eligible. How to Apply: Enroll in an approved teacher education program at a regionally accredited Virginia institution and talk to the Financial Aid Office. They can explain the nomination procedure and provide an application packet. Summary: This program offers education benefits to spouses and children of U.S. military service members who were killed, labeled missing in action, taken prisoner, or became at least 90% disabled as a result of U.S. military service in an armed conflict. Participants receive free tuition & mandatory fees for undergraduate or other postsecondary education at a Virginia public institution for up to four years. A stipend for room & board, books and supplies may also be available. Eligibility: Eligible services include the U.S. Armed Forces, U.S. Armed Forces Reserves or the Virginia National Guard. The term “armed conflict” includes military operations against terrorism, active duty as the result of a terrorist act, a peacekeeping mission or any armed conflict after December 6, 1941. The SCHEV website also has full list of Virginia residency requirements for the military service member. How to Apply: Complete the VMSDEP Application on the Department of Veterans Services (DVS) website. Summary: Virginia National Guard members are eligible to receive up to $2,000 per semester for tuition & fees and $350 per semester for textbooks. This program must be used at schools located or headquartered in the Commonwealth of Virginia. How to Apply: Request an application from your National Guard unit of assignment. Your application must be signed by your unit commander. Contact the Virginia Department of Veterans Services (DVS) for more info on federal and state education and employment benefits. Summary: This program allows Virginia students to pay in-state tuition rates at out-of-state public institutions for select undergraduate or graduate programs that are unavailable in their home state. ACM is administered by the Southern Regional Education Board (SREB) and 15 partner states: Virginia, Alabama, Arkansas, Delaware, Florida, Georgia, Kentucky, Louisiana, Maryland, Mississippi, Oklahoma, South Carolina, Tennessee, Texas, Virginia and West Virginia. SCHEV has answers to ACM FAQ. How to Apply: Complete the ACM Application and mail the completed application & supporting documentation to SCHEV. Summary: ETVs help eligible foster care and adopted youth pay for post-secondary education and training expenses. Those expenses include tuition & fees, but also room & board, equipment, child care, supplies and more. Awards are supplied in the form of vouchers which can be used at colleges, universities, community colleges and one-year training institutions. ETV recipients can receive up to $5,000 in vouchers per year. Youth adopted from Virginia’s foster care system after reaching age 16 are eligible for the ETV Program as long as they meet the same eligibility requirements for foster youth and who would have been otherwise eligible for services under Virginia’s CFCIP. How to Apply: File your FAFSA and submit a completed ETV Application with all the required documentation to the Virginia Department of Social Services (DSS). Summary: Certain Virginia senior citizens are eligible to take college courses at Virginia public institutions without paying tuition or required fees (i.e. tuition waiver). However, they must pay for course materials. A senior citizen is defined as a resident who is age 60 or older. A senior citizen with a taxable income of no more than $23,850 can receive a tuition waiver on any amount of courses for academic credit. Alternatively, any senior citizen—regardless of income—can receive a tuition waiver on a non-credit course (up to three non-credit courses in any one term, quarter or semester). How to Apply: Ask for an application from the Financial Aid Office at the Virginia public institution of your choice. Virginia is not a cheap state—especially when you’re trying to go to college. If you and your family are finding it hard to meet basic bills (e.g. heating, rent, food, etc. ), you could be eligible for state benefits from the Virginia Department of Social Services (DSS). You may already be aware of programs like SNAP (food stamps), but the DSS also offers energy assistance, child care subsidies and temporary assistance for needy families (TANF). You can apply online for benefits through CommonHelp. The Virginia Department of Housing & Community Development (DHCD) provides affordable housing assistance. Need help with a specific financial problem (e.g. food shortage, eviction threats, affordable child care, etc.) and don’t know where to turn? Call 2-1-1 or visit the website of Virginia 211. 211 is a free service that connects Virginia residents to local social services organizations and community resources. 211 counselors can answer pretty much any question you might have. Your other option is to contact a Virginia Community Action Agency in your area. These agencies manage & coordinate local programs for low-income residents. Affordable on-campus housing can be challenging to find, so it’s wise to compare your options ahead of time. You can reduce costs by sharing with roommates and selecting the lowest price meal plan, but you’ll always be limited by what your college or university offers. Remember, too, that you may be required to live on campus for a year or two—for example, Longwood University mandates that first-year students stay in university housing. On the other hand, living on campus means you’re not paying for commuting costs, rooms are typically furnished, utilities are included and buildings are up-to-code (e.g. properly insulated). When in doubt, try the budget calculators on MappingYourFuture.org and CalcXML.com. These let you compare on-campus costs (meal plans, dorm fees, etc.) with off-campus bills (groceries, utilities, etc.). The housing section on your school’s website will also have up-to-date information on rates and requirements. If you’re concerned that your financial aid package won’t cover room & board, consult your university’s residential life/housing coordinator, your high school counselor or the Financial Aid Office. These folks will have details on work-study programs and housing scholarships that you may not know about. For example, Radford University’s Presidential Scholars program funds tuition and room & board for outstanding incoming freshmen per year. In the past, affordable Virginia colleges and universities have often been labeled commuter schools. These schools have built more on-campus housing in the past few years, but many GMU and ODU students still choose to live off campus—either in apartments or at home. So rent is something to think about when touring these universities. Sharing an apartment may be cheaper than halls, but prices will depend on location (urban vs. suburban vs. rural), availability and proximity to campus. If you don’t know where to start, the housing section of your school’s website will usually have solid advice on renting and links to university-owned, off-campus apartments. For instance, ODU offers Off-Campus Services and one-on-one assistance, GMU has partnered with Off Campus Partners to provide a Off-Campus Housing Service and Longwood maintains a list of rental properties in Farmville. Plus you can always look for cheap apartments to Craigslist and rental sites (just keep an eye out for scams—people love to prey on students). A number of websites, such as CampusRent.com, ApartmentGuide.com and MyApartmentMap.com, will allow you to target affordable housing listings around your specific school. In times of crisis, try the Virginia Homeless Shelter Directory from HomelessShelterDirectory.org. It has a list of emergency shelters and transitional housing opportunities. Before you put your signature on any rental agreement/lease, find out what utilities (e.g. heat, electricity, water) you’ll be obliged to cover. You can budget for these costs by asking the landlord for a monthly estimate of utility bills or talking to former renters. If you’re sharing with other students, be sure you have a written agreement about paying for expenses—you don’t want to have late payments on a bill in your name. Living at home? Already a renter or a owner? You may be eligible for low-income programs. For example, the DSS administers a variety of energy assistance programs—including LIHEAP—that cover heating, weatherization, cooling and crisis situations. Virginia utility and energy companies will also help qualified residents with bill payments. Examples include Dominion Virginia Power’s EnergyShare and Columbia Gas of Virginia’s HeatShare. If you’re having trouble finding someone to help, your local Salvation Army will also be able to connect you to funds and programs. Almost every Virginia school, big or small, will have a campus health center with free and affordable medical care services. These centers are funded by student fees, so you have every right to use them. For instance, ODU’s Student Health Center offers primary care services, vaccinations, family planning, STD screening and lab tests. UVA’s fancier Elson Student Health Center has an on-campus pharmacy, an allergy clinic, a travel clinic and more. Some student health centers also provide extensive mental health counseling. If you strike out at the student health center, the Virginia Association of Free & Charitable Clinics (VAFCC) provides a Find a Clinic tool on its website. You can compare these results with community clinics and healthcare centers listed on FreeClinicDirectory.org and NeedyMeds.org. Many of these clinics are willing to treat mental health problems or refer you to other providers. When you need help now, the Mental Health Crisis/Suicide hotline is 1-800-273-8255. Cheap dental care may be a bit harder to find. It’s rare that a student health center has a dental clinic, so most schools will refer to you to local providers. Live near Richmond? Because it needs patients for dental students, VCU’s Student Practice at the VCU School of Dentistry offers services at reduced fees. It also has a Student 2 Student Discount Plan for college students in Virginia, with 80% off of cleanings, exams and X-rays, and 60% off of basic restorative treatment (e.g. fillings). Alternatively, FreeDentalCare.us: Virginia has a list of free and low-cost clinics in your community. In contrast to other states, Virginia is lagging behind on campus daycare. If your school does have a center, it pays to apply as early as possible. When you apply, ask about subsidies and financial assistance. For instance, Tidewater’s fees are calculated on a sliding scale and students can use their financial aid (grants, loans, etc.) towards payment. Even if you don’t qualify for the DSS’s Child Care Subsidy Program, which is targeted at low-income families, you still have choices. Child Care Aware of Virginia (CCAV) has an online database of child care facilities in Virginia. You can also call CCAV at 866-543-7852 to discuss your financial situation, ask questions and receive a personalized list of referrals. Whether you’re biking, driving or busing, it’s still worth spending a few minutes on the transportation section of your university’s website. That’s because this section has tons of info on bike rentals, ridesharing, free campus shuttles (e.g. Radford Transit) and parking availability. Schools are also starting to make a push to reduce carbon footprints. For instance, GMU has a private ridesharing service called Zimride and is a partner in Arlington’s Car-Free Diet program. A Virginia college student ID may entitle you to discounts on local transit. Longwood students ride the Farmville Area Bus (FAB) for free, UVA students ride the Charlottesville Area Transit (CAT) for free and VCU has partnered with GRTC to offer a subsidized transit pass program. This is just a sample—check with your school for details on discounts in your area. National carriers like Greyhound and Amtrak also offer student deals. In response to student demand, more and more Virginia schools are opening campus food pantries (e.g. VCU, ODU, Virginia Tech, ESCC, etc.). Even if you don’t qualify for food stamps, you can find immediate help at these centers. Some dining services have programs to supply at-need or homeless students with leftovers. Your other option is to make an appointment with the Financial Aid Office—there may be ways to reduce your meal plan costs. When there’s nothing on campus, try your community. FoodPantries.org has a large database of Virginia food pantries in your county (HomelessShelterDirectory.org also has a directory of VA soup kitchens, pantries and food banks). New moms or moms-to-be may also wish to see if they qualify for the Virginia WIC Program. Thanks to the presence of TCC’s largest campus and Regent University, this tourist/military town has more students than you might think. According to Sperling’s Best Places, the cost of housing is high, but you’re right near the water and plenty of affordable entertainment options. A lot of students save on rent by rooming with others. If you drive a car, be prepared for serious traffic—especially in the summer. General info for residents can be found on the City of Virginia Beach website. Everyone has their own mountain to climb when it comes to college. If you live in Virginia Beach and you’re finding it hard to achieve your dreams of education due to financial circumstances, these organizations may be able to lend a hand. The Youth Career Center of Hampton Roads (YCCHR) provides career exploration, job preparation and financial literacy education to youth (ages 14-24) living in the Hampton Roads area. It organizes in-school and out-of-school programs (e.g. GED, career services, etc. ), workshops and recruitment fairs. The City of Virginia Beach has a Summer Youth Employment Program (SYEP) for Virginia Beach residents aged 16-21. It provides full-time employment for seven weeks at around the minimum wage. Previous placements have included city agencies (e.g. Parks & Recreation, Public Health, Virginia Beach City Public Schools) and private companies (e.g. STIHL, Inc., NEX, and Forbes Candies). Beach Health Clinic provides comprehensive health care to uninsured residents of Virginia Beach who are below the 200% federal poverty level. That care includes dental services and a variety of specialty services. You might also check out our list of Norfolk resources below or try searching by category (e.g. food, education, etc.) in the directory of Virginia Beach, VA non-profits on CharityBlossom.org. Thanks to differences in housing prices, the average cost of living in Norfolk is cheaper than the cost of living in Chesapeake. Chesapeake has a reputation for being a bit dull, so that’s probably just as well. Norfolk, on the other hand, has good buses, Virginia’s first light rail system and lots of cheap eats and nightlife (and property crime, we might add). Since rent is expensive near campus and where military are present, some students choose to live further out. But it’s worthwhile budgeting your commuting costs—ODU has a great partnership agreement with Hampton Roads Transit (HRT). General info for residents can be found on the City of Norfolk website and the City of Chesapeake website. Whether you’re a low-income high school student or an adult learner with kids, it’s even odds that you’re going to need some help getting to college. Norfolk and Chesapeake are part of the Hampton Roads area, so many of these organizations serve Virginia Beach as well. Hampton Roads Community Foundation (HRCF) administers a large number of undergraduate scholarships and graduate scholarships for low-income students in the South Hampton Roads area. It’s southeastern Virginia’s largest scholarship provider. Friends of Hampton Roads offers scholarships to African-American high school seniors in financial need who have demonstrated academic achievement, leadership and community involvement. The Southeastern Tidewater Opportunity Project Inc. (STOP) runs a huge number of initiatives for low-income families in the Southeastern Tidewater Virginia area. Programs tackle affordable housing, employment & training, college preparation (Project Discovery) and crisis intervention (i.e. short-term financial assistance). ForKids helps low-income families at risk for homelessness. It provides hot meals, weekly tutoring for kids, budgeting classes, parenting assistance, employment counseling and more. It also operates a thrift store in Norfolk. You might also check out our list of Virginia Beach resources above or try searching by category (e.g. food, education, etc.) in the directory of Norfolk, VA non-profits on CharityBlossom.org. Home to VCU and Richmond College, Richmond is still a relatively affordable city for students to live. Sperling’s Best Places often places the average cost of living below both Norfolk and Virginia Beach. It has a strong public transit system—the Greater Richmond Transit Authority (GRTA)—lots of cheap entertainment & festivals, nearby beaches and hundreds of bike paths. On the flip side, it has a reputation for violent crime, so choose your neighborhood carefully. Many VCU students end up in the Fan area. General info for residents can be found on the City of Richmond website. Not everyone in Richmond is living off the fat of the land. If you’re searching for local scholarships or your family needs a bit of assistance to keep up with bills, these organizations are ready to step in. The CFG ScholarBank has a database of 500+ local scholarships for Richmond area students. Students can search by region, grade level and multiple keywords. The list is updated weekly. The Community Foundation of Richmond (TCF) has a similar searchable database of Central Virginia scholarships. The Mayor’s Youth Academy offers youth development opportunities to Richmond teenagers. The Academy includes job readiness training, leadership development, exposure to entrepreneurship, mentoring and post-secondary career exploration. Along with emergency shelters and Christmas assistance, the Salvation Army of Central Virginia can help with utility & rent, food supplements/free meals, community classes (e.g. academic skills) and more. Capital Area Partnership Uplifting People (CAPUP) runs a program called Project Discovery that supports low-income students who want to graduate high school and go to college (e.g. ACT/SAT/College application fee waivers, campus visits, workshops, etc.). It also provides employment assistance and emergency services (e.g. rent assistance). For a specific problem or challenge, try searching by category (e.g. food, education, etc.) in the directory of Richmond, VA non-profits on CharityBlossom.org.